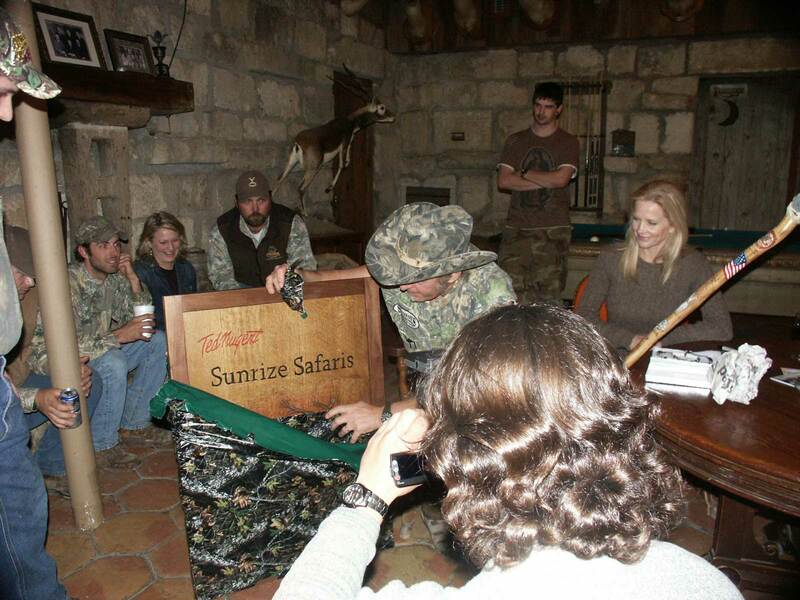 Texas 2006 was a road trip - this trip took them south through to Atlanta, GA for to personally deliver a custom made gaming table. 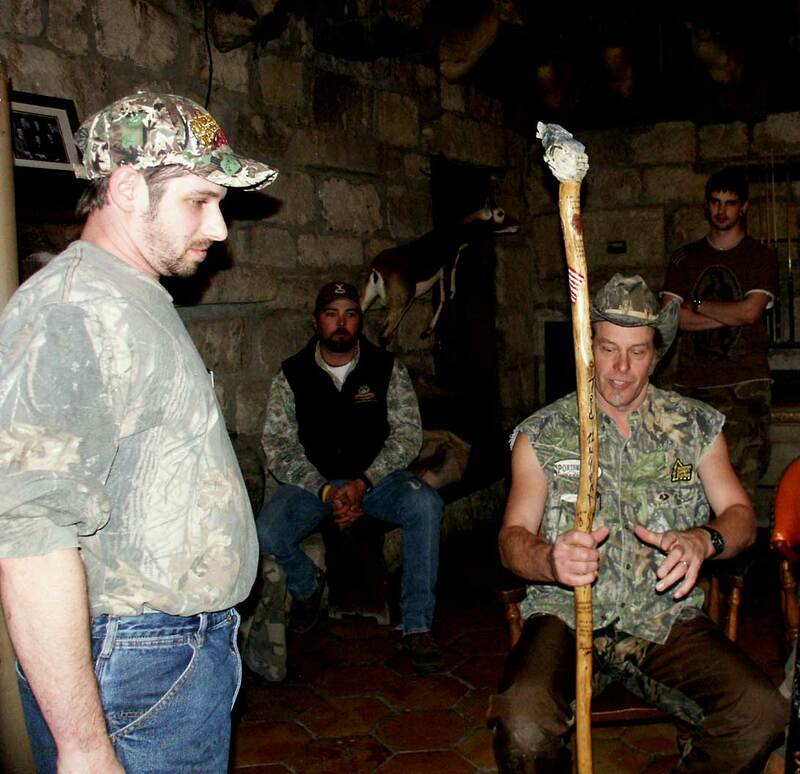 From there they hooked right and headed west stopping in various locations along the way including Biloxi, MI where they found what could be described as a 3rd world country. 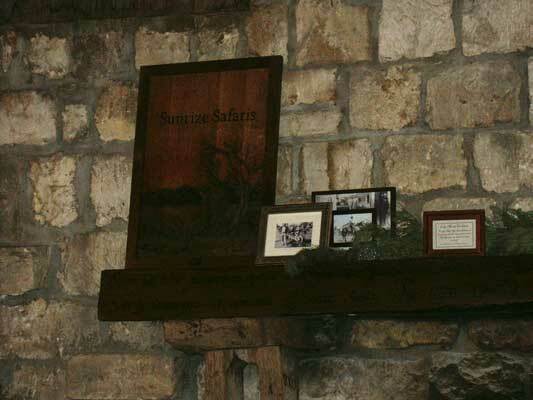 The damage from Katrina remained almost as if it was frozen in time. 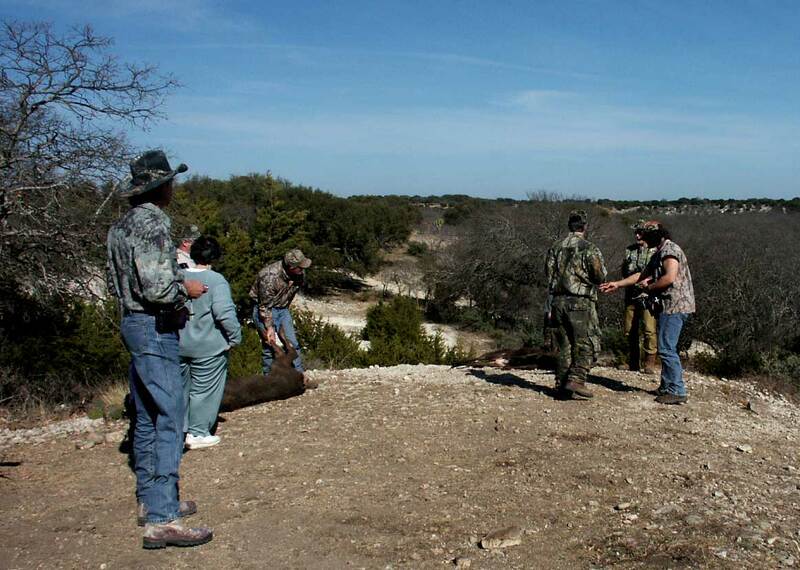 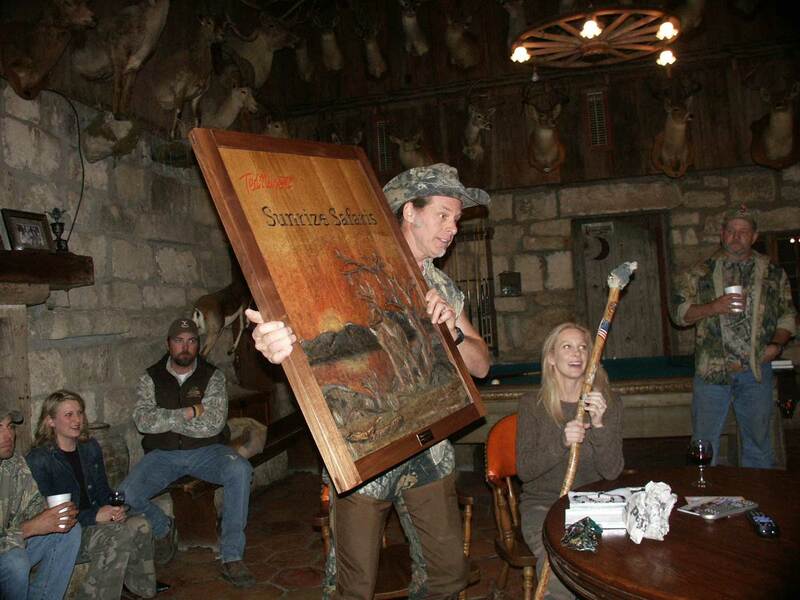 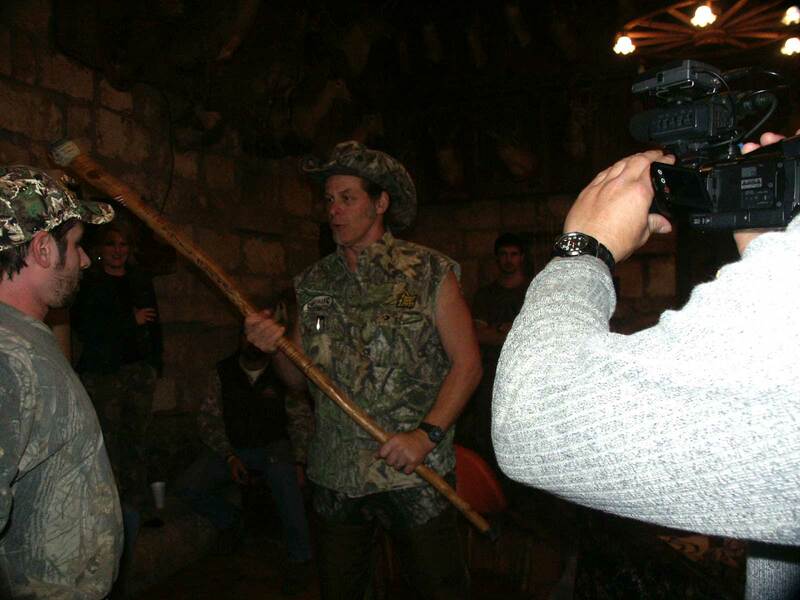 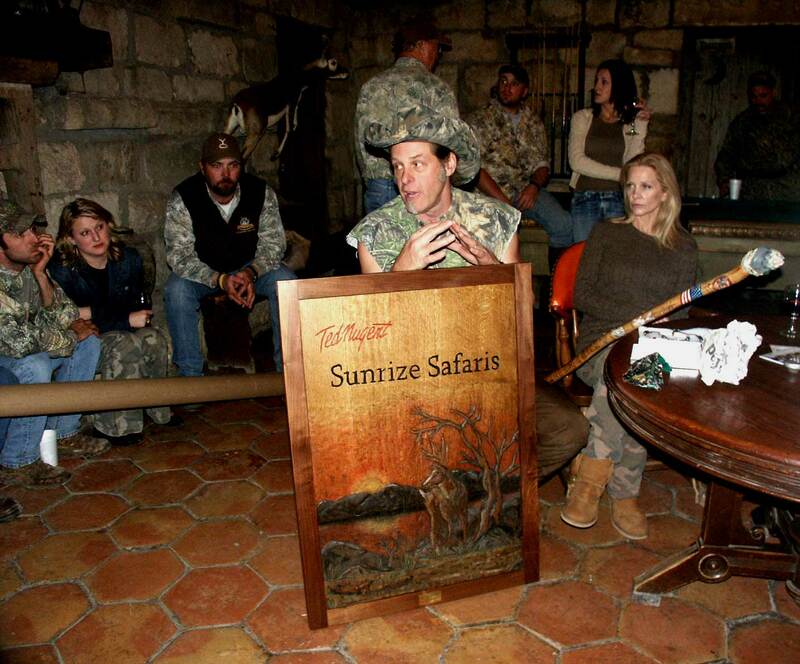 They continued west and landed at the YO Ranch in Mountain Home, TX for Ted Nugent's birthday party and a hunting adventure. 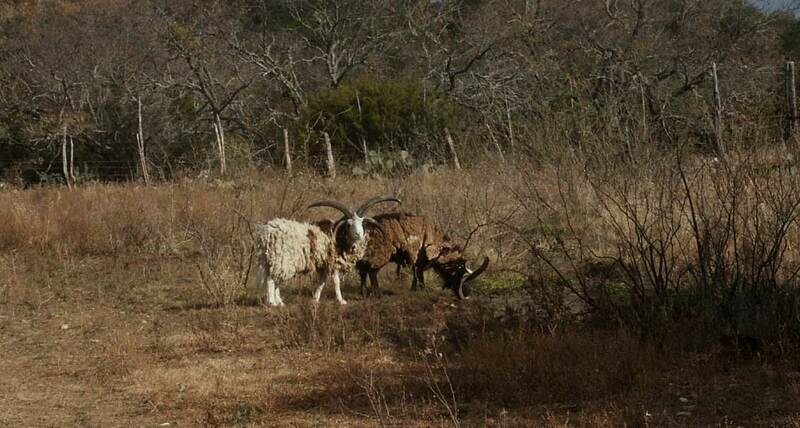 Photos from this trip are already online in some of the other sections of our website, more will be posted here shortly. 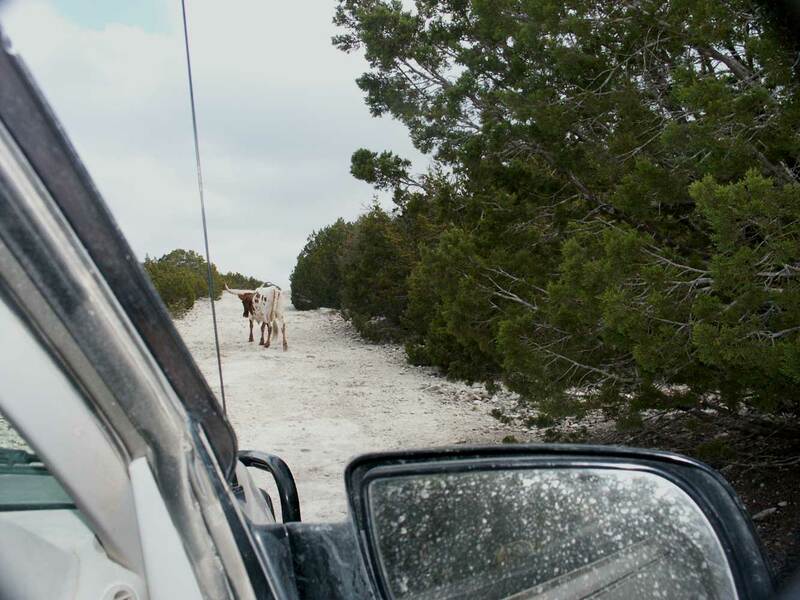 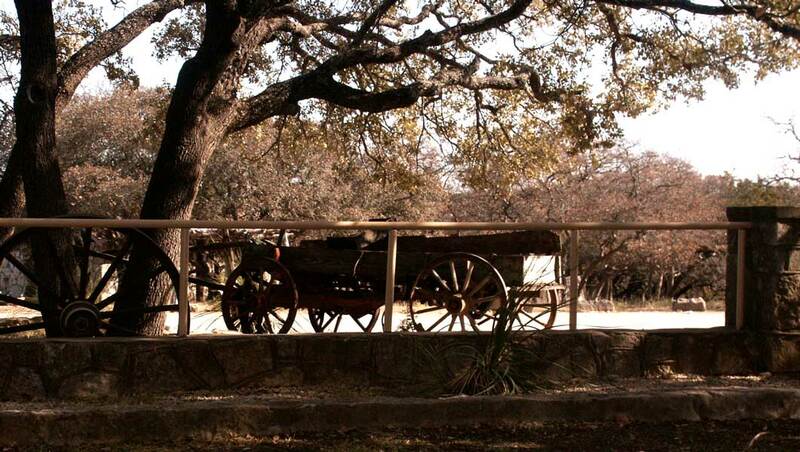 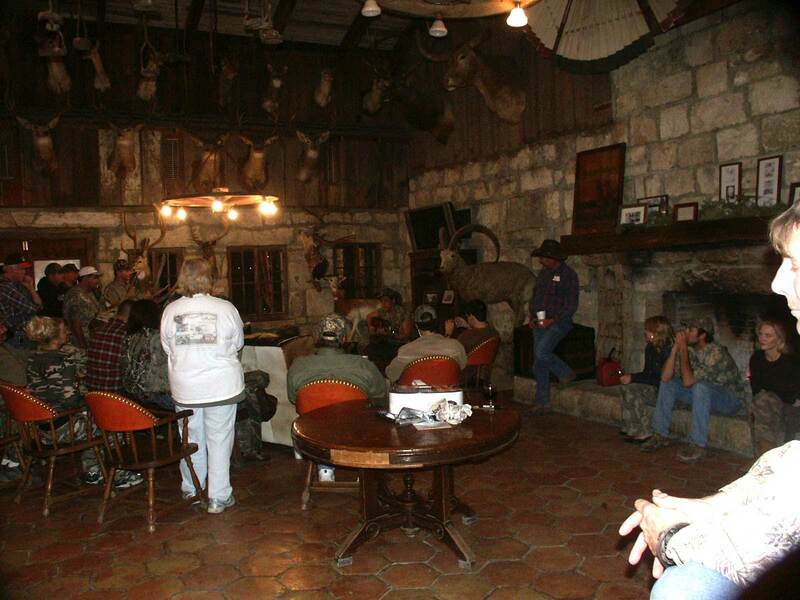 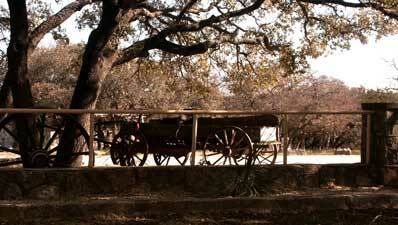 In 2006 our adventures took us to the famous TX YO Ranch. 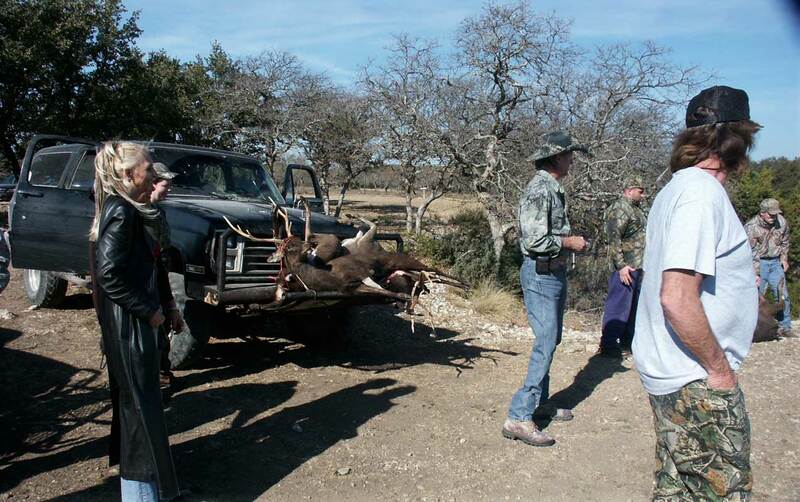 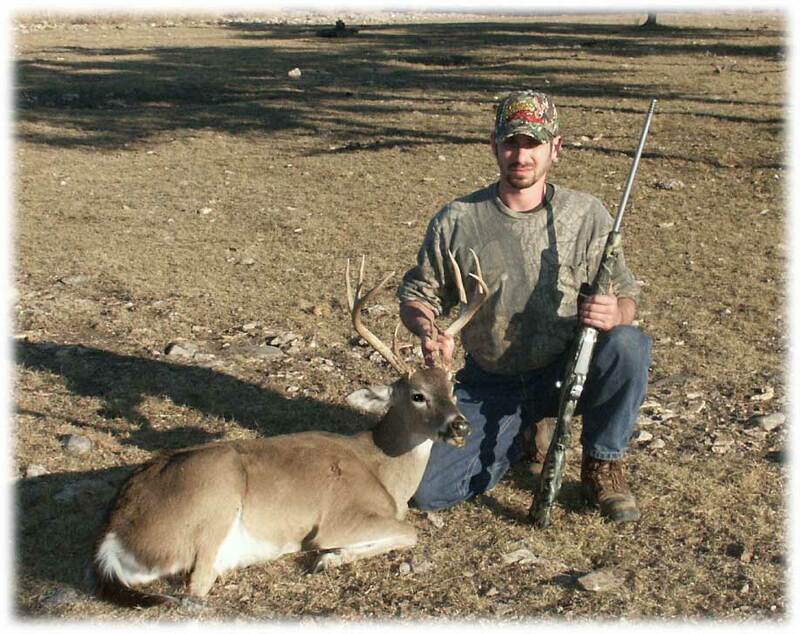 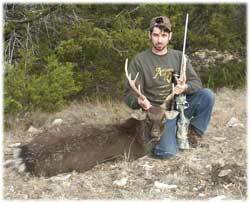 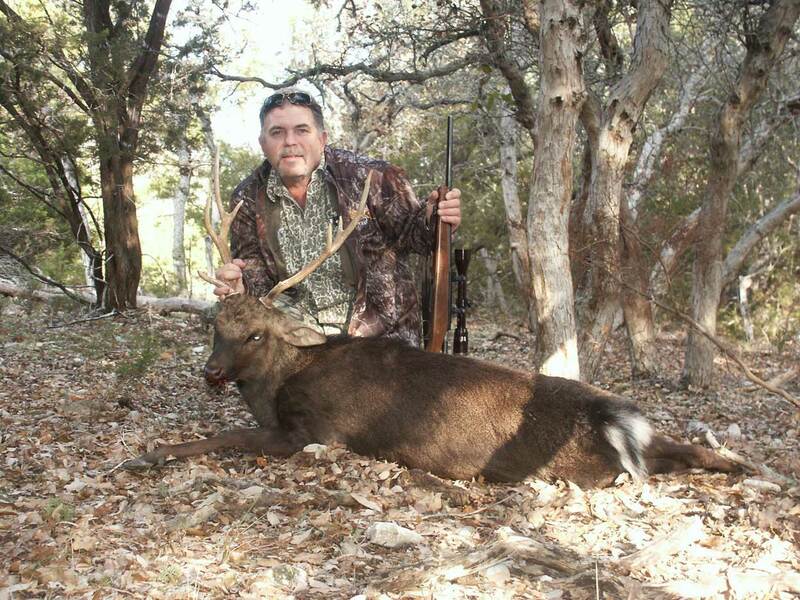 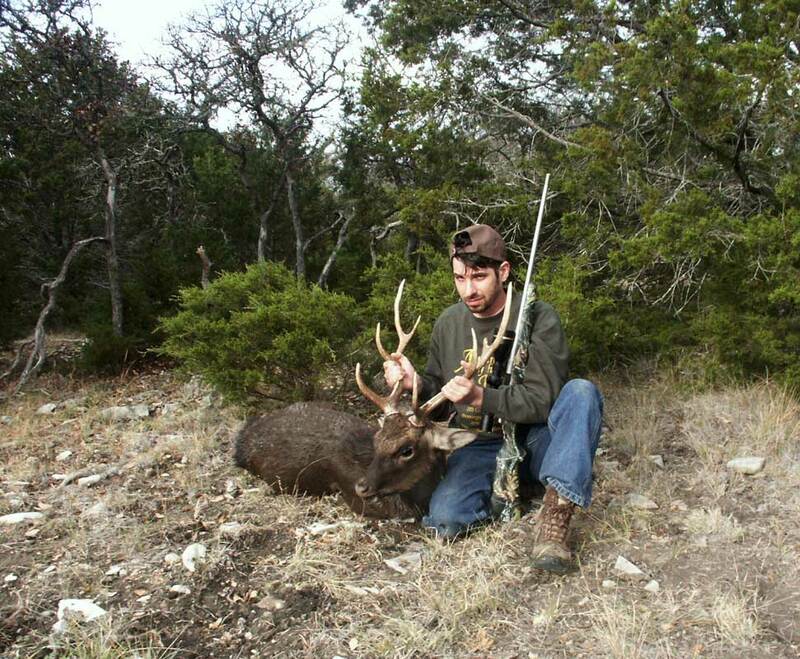 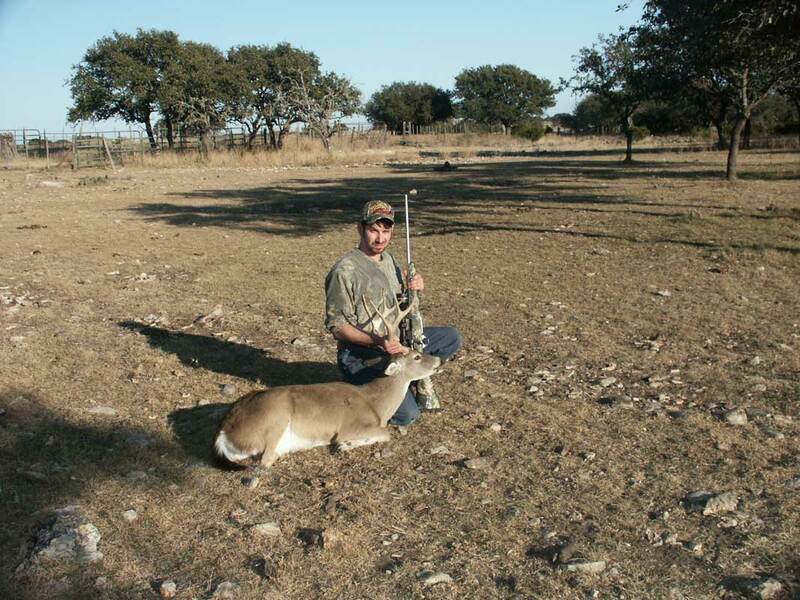 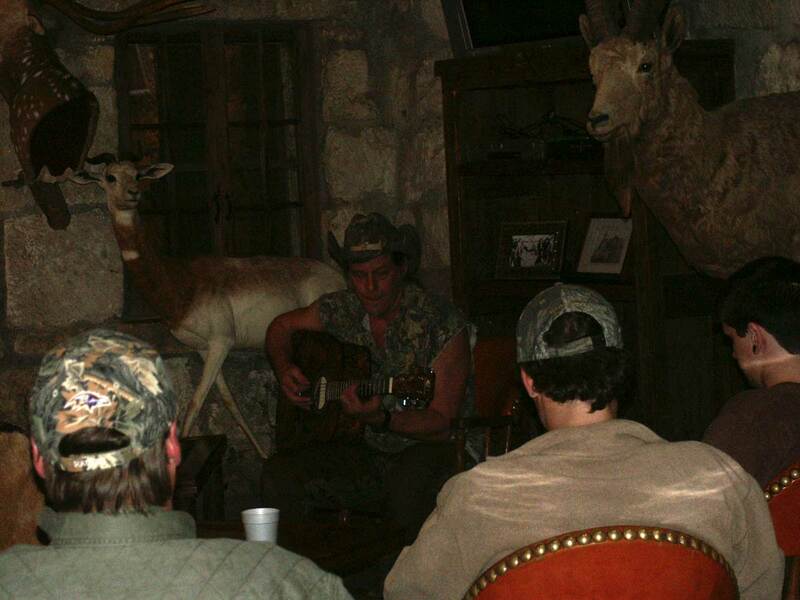 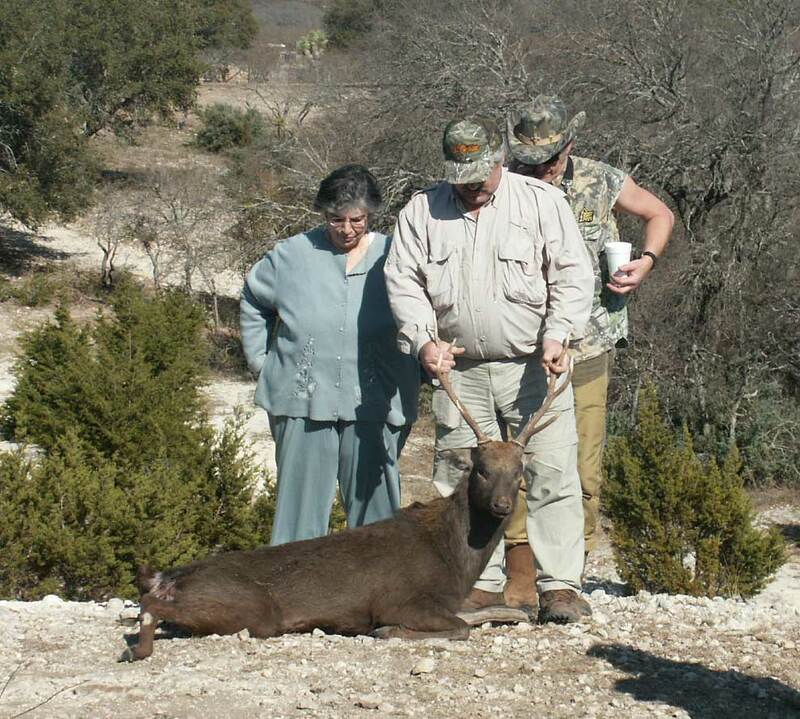 2006 YO Ranch Hunting Trip - Eric is shown center with his 8pt Sika, and right with his 8pt white tail buck. Below are a few more angles of Eric w/ the Sika and Whitetail. 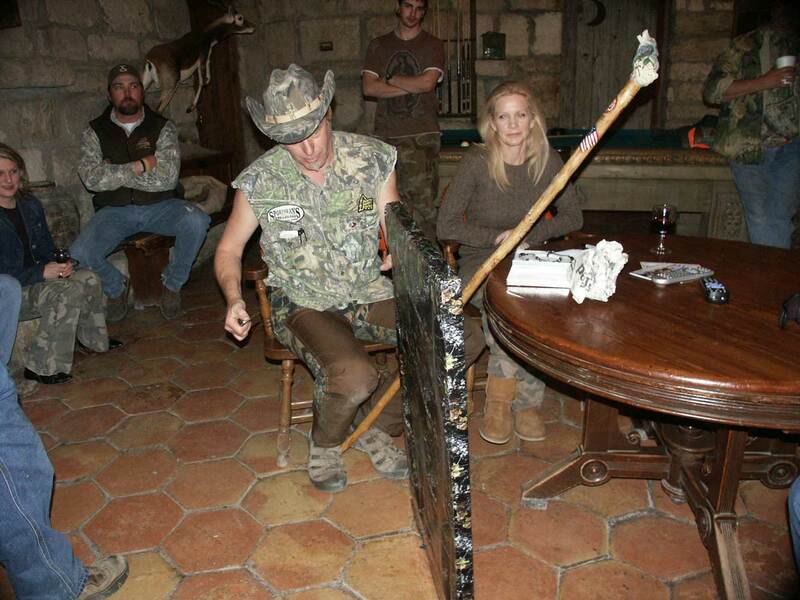 We debated about shooting one of these - however we determined that a mount that looked like that rediscovered at 3am during a venture to the bathroom would likely end up in it getting shot again! 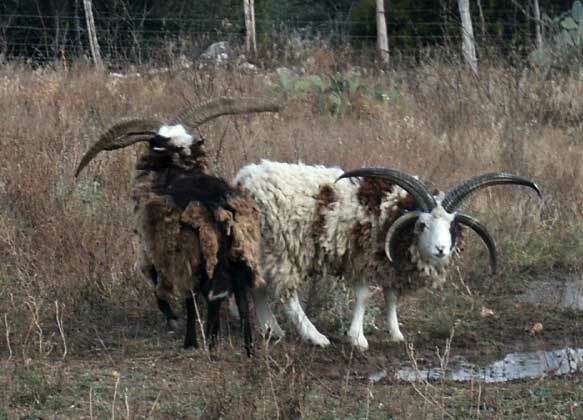 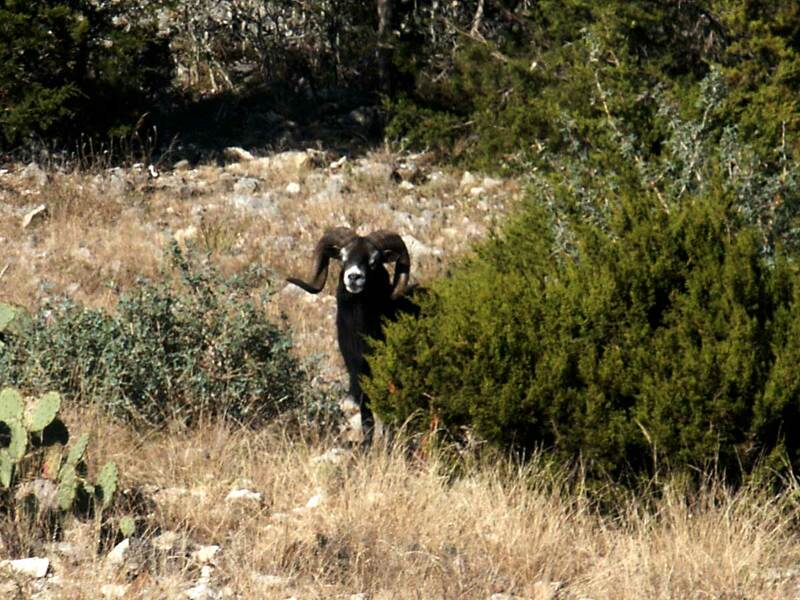 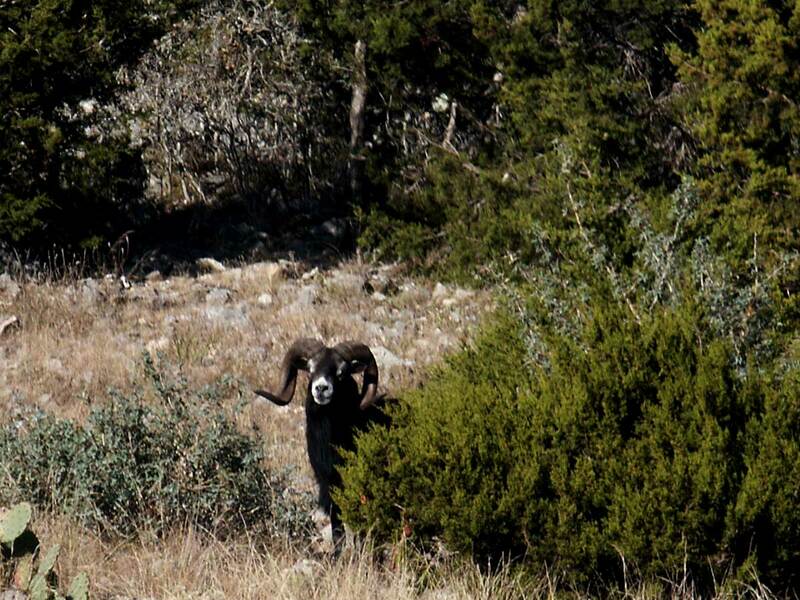 These four horned sheep are cool - but scary looking creatures! 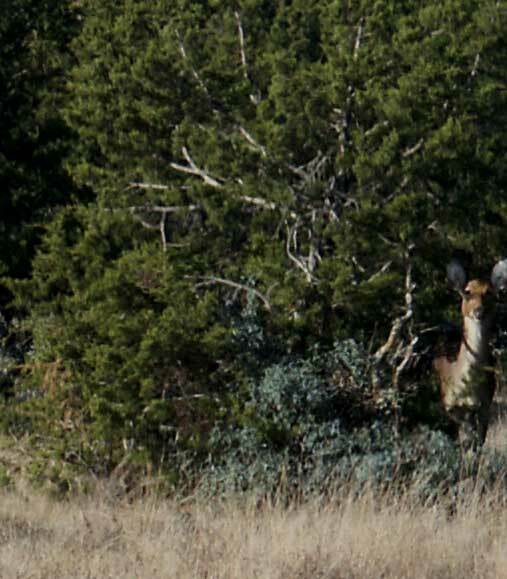 There are no hears of deer like this floating around NJ lately ... at least not when we're out hunting we've only seen deer congregated like this while taking a Sunday drive! 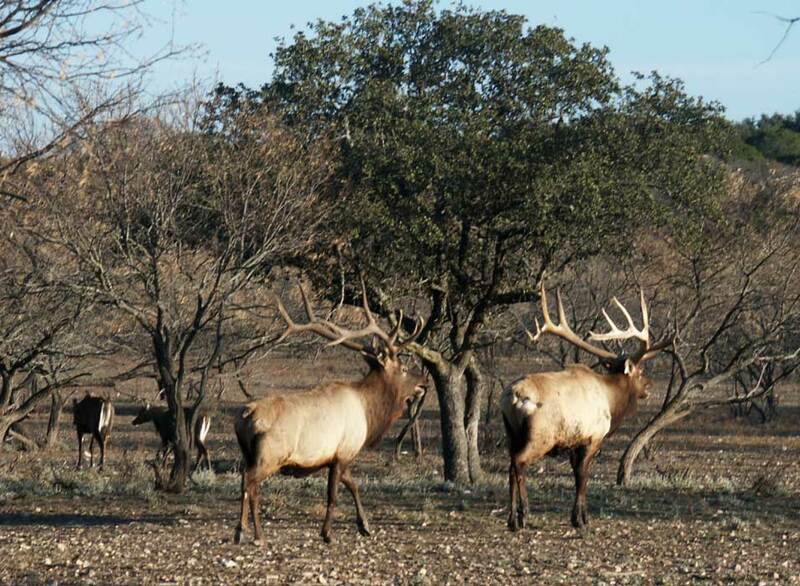 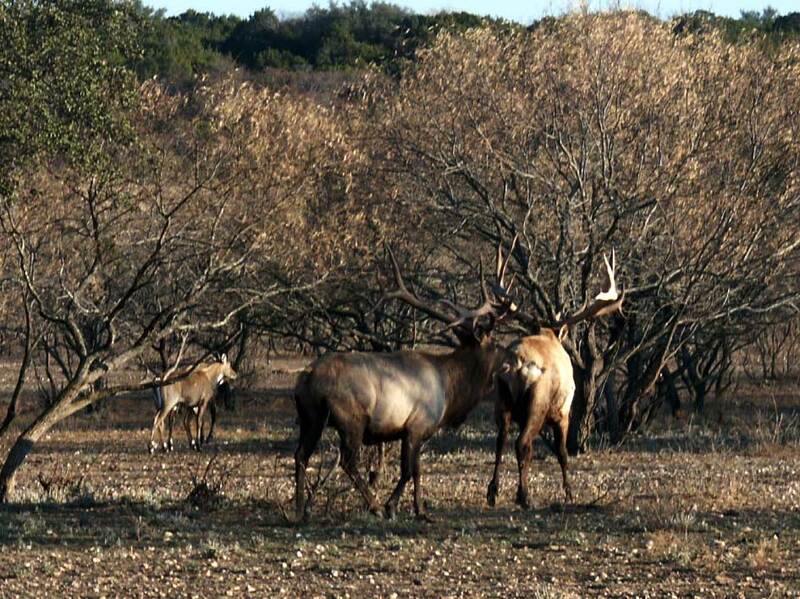 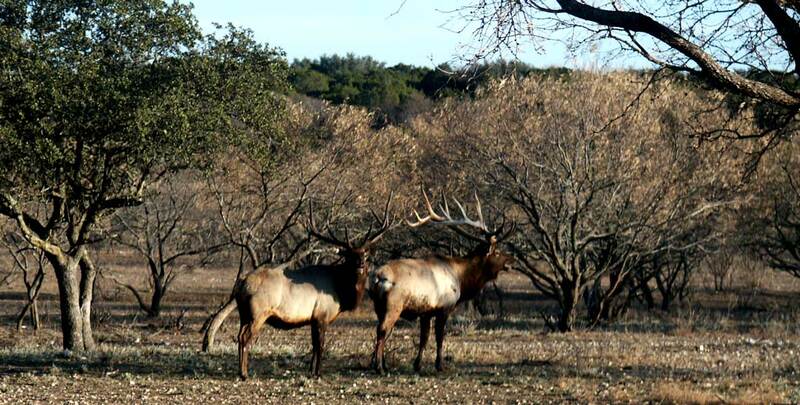 These are the famous elk - one of which boasted a $25,000 price tag. 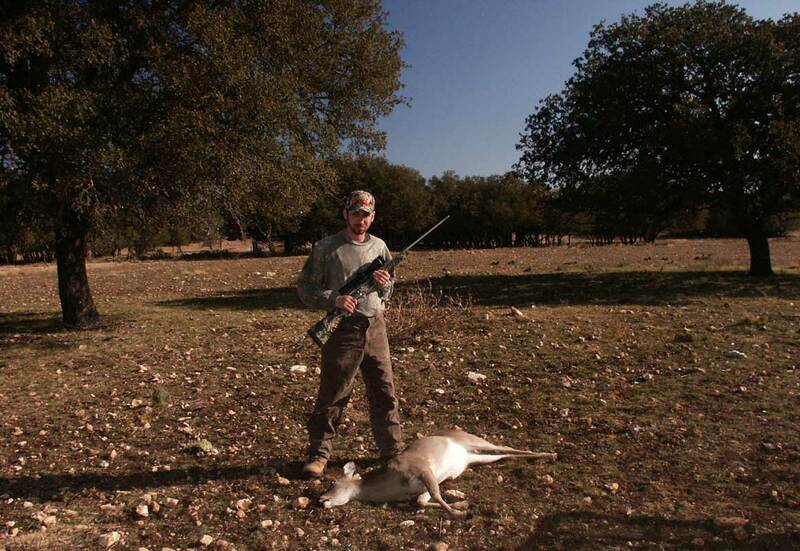 Eric was tempered to shoot the biggest thing on the property (No thanks to our guide Brian who was more than tempting her to take a shot and put an end to the "Size does matter ... in deer ..." battle of the sexes. 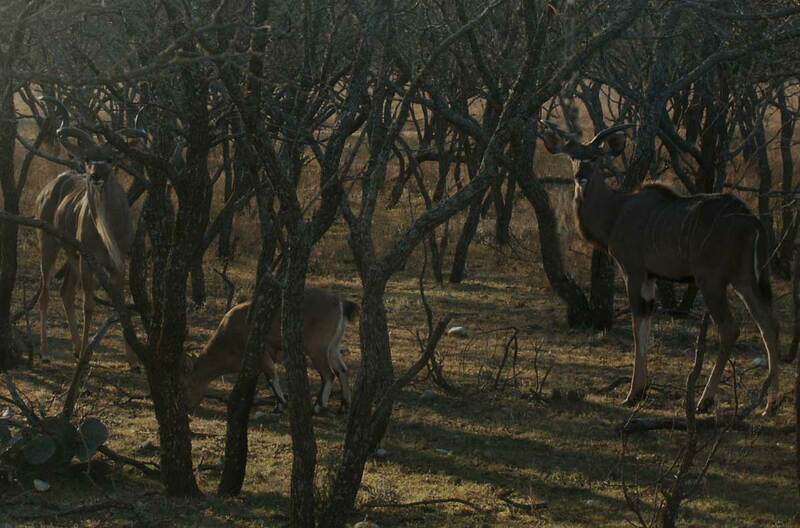 We finally settled on a few photos - pulling the trigger on the camera was free! 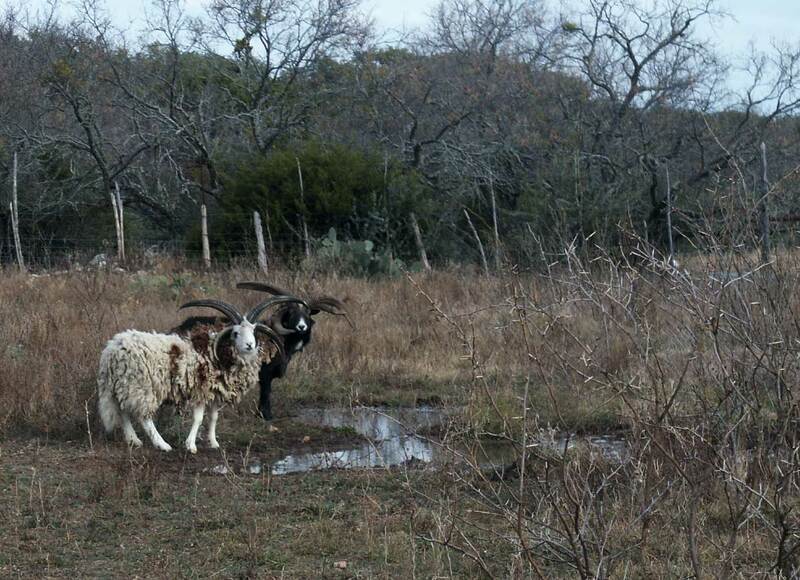 Next round - we're going to get a ram. 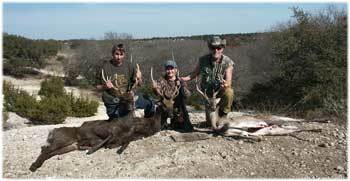 Not wanting to shoot what we don't eat, we turned down the opportunity. 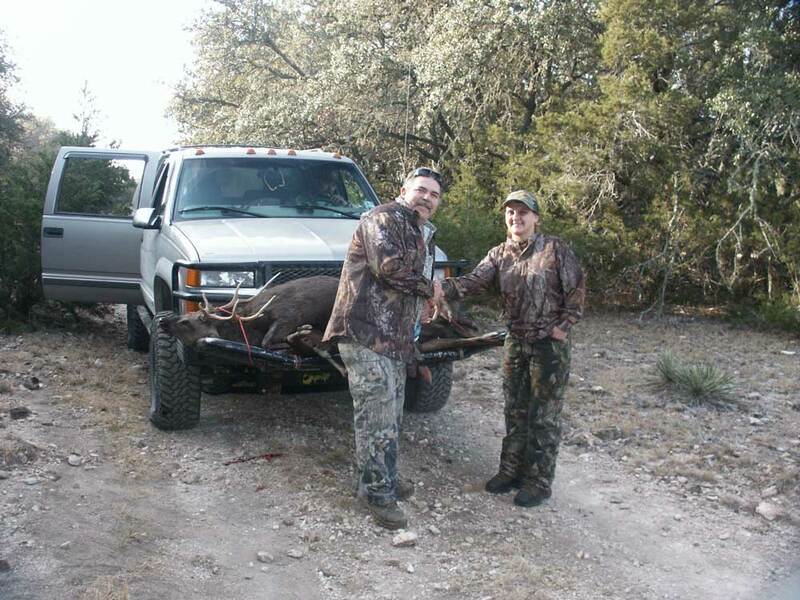 Now that we know the meat can be donated to hunters for hungry, and/or a few Greek friends of ours that voiced their interest in this bounty. 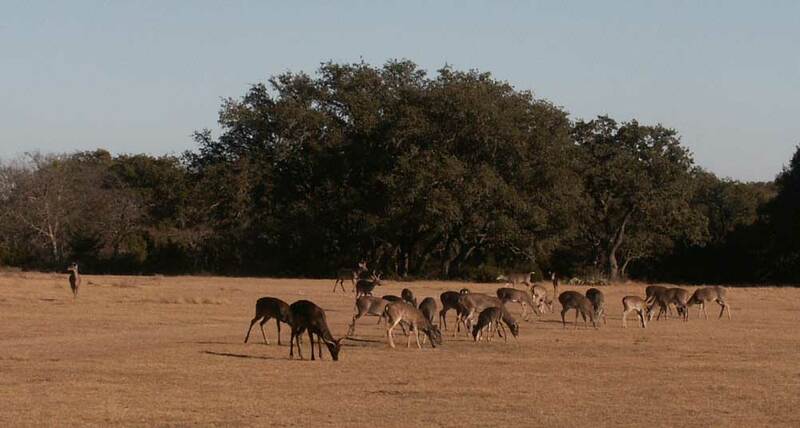 This is a small sample of some of the exotic game that is bread and maintained at the YO Ranch. 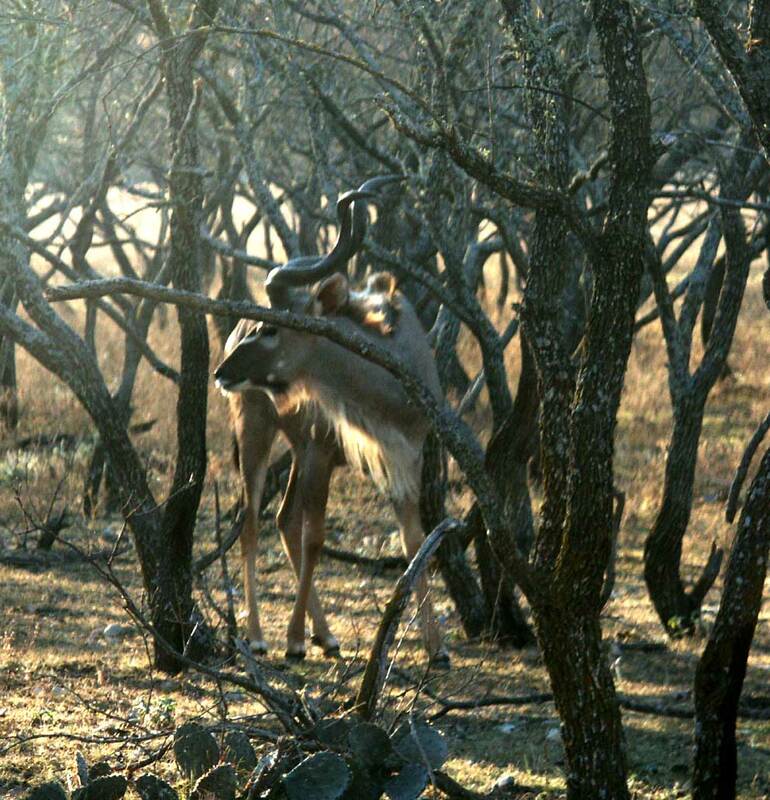 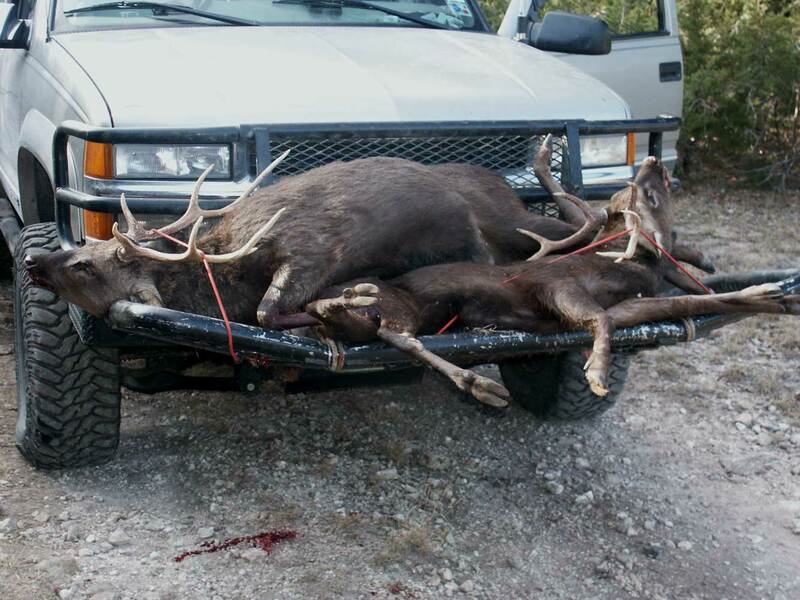 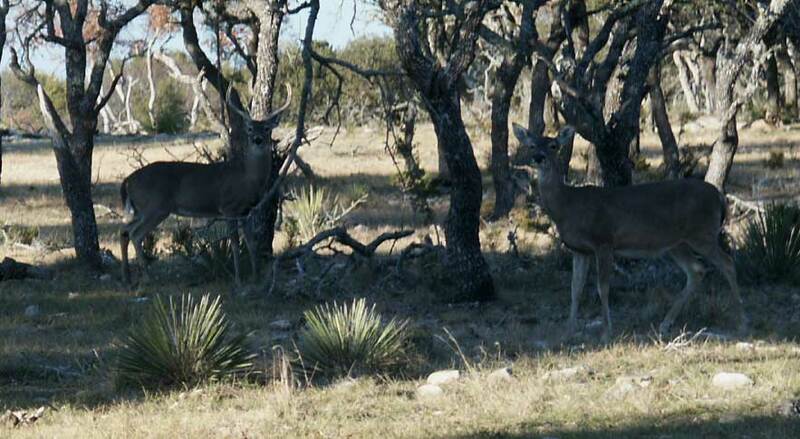 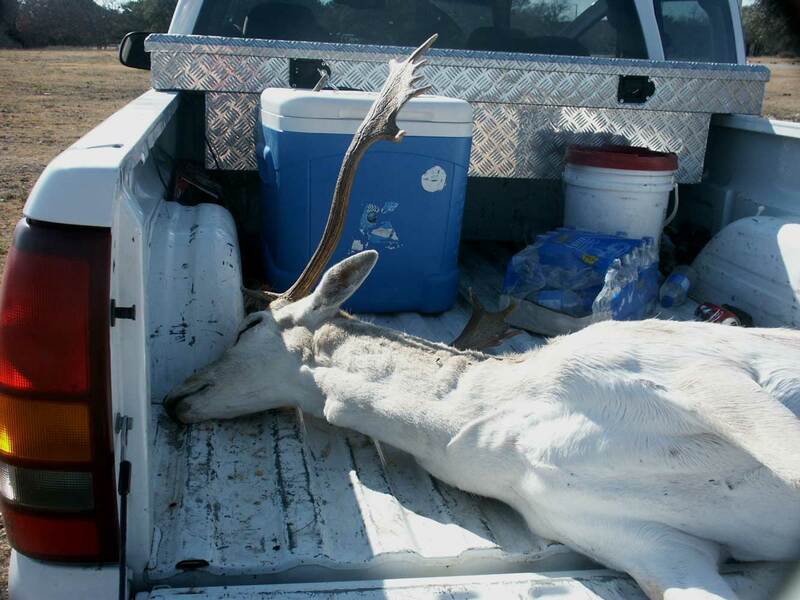 The Fallow Deer in the pickup bed - next TX hunting trip we take that's a definite goal! 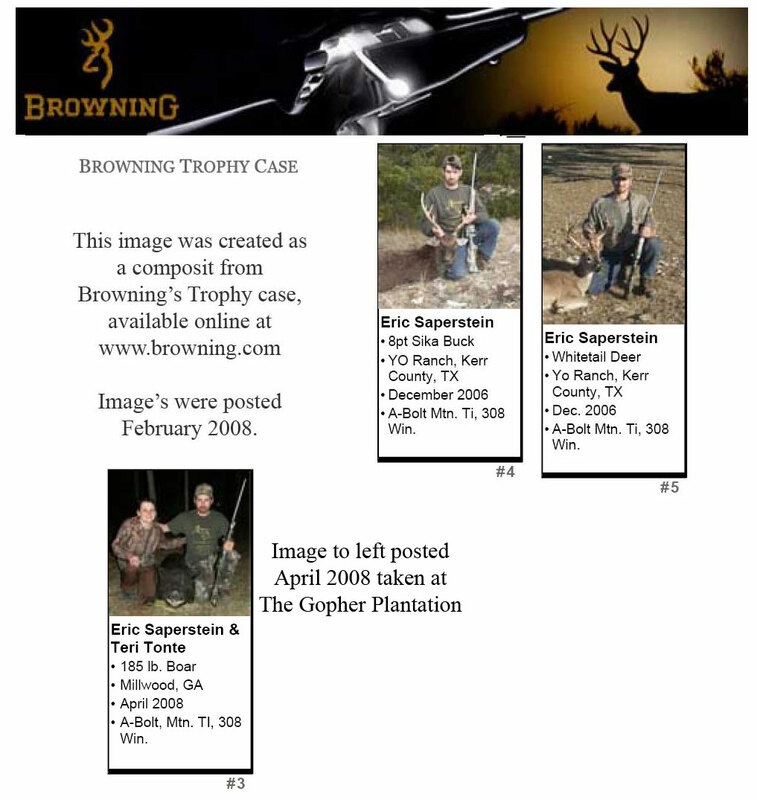 A few random group shots - these was prepping for the photo shoots w/ Ted and our bounty.